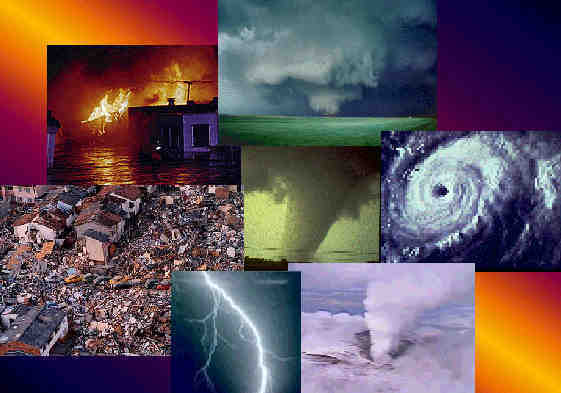 Natural disasters such as flood, fire, earthquake, tornado and windstorm affect thousands of people every year. You should know what your risks are and prepare to protect yourself, your family, your business and community. Important family documents such as copies of insurance policies, identification and bank account records in a waterproof, portable container. You can use the Emergency Financial First Aid Kit (EFFAK) (PDF - 977Kb) developed by Operation Hope, FEMA and Citizen Corps to help you organize your information. Key employees should be organized as a program committee that will assist in the development, implementation and maintenance of the preparedness program. A program coordinator should be appointed to lead the committee and guide the development of the program and communicate essential aspects of the plan to all employees so they can participate in the preparedness effort. The preparedness program should be reviewed periodically to ensure it meets the current needs of the business. Keep records on file for easy access. Lastly, where applicable, make note of any laws, regulations and other requirements that may have changed. Resource Management: Resources needed for responding to emergencies, continuing business operations and communicating during and after an incident should be identified and assessed. Emergency Response Plan: Plans to protect people, property and the environment should be developed. Plans should include evacuation, sheltering in place and lockdown as well as plans for other types of threats identified during the risk assessment. Business Continuity Plan: A business continuity plan that includes recovery strategies to overcome the disruption of business should be developed. Information Technology Plan: A plan to recover computer hardware, connectivity and electronic data to support critical business processes should be developed. Employee Assistance & Support: The business preparedness plan should encourage employees and their families to develop family preparedness plans. Plans should also be developed to support the needs of employees following an incident. Training: Persons with a defined role in the preparedness program should be trained to do their assigned tasks. All employees should be trained so they can take appropriate protective actions during an emergency. An important component of the preparedness program is the crisis communications plan. A business must be able to respond promptly, accurately and confidently during an emergency in the hours and days that follow. Many different audiences must be reached with information specific to their interests and needs. The image of the business can be positively or negatively impacted by public perceptions of the handling of the incident. This step of Ready Business provides direction for developing a crisis communications plan. Understanding potential audiences is key, as each audience wants to know: “How does it affect me?” Guidance for scripting messages that are specific to the interests of the audience is another element of the plan. Information technology (IT) includes many components such as networks, servers, desktop and laptop computers and wireless devices. The ability to run both office productivity and enterprise software is critical. Therefore, recovery strategies for information technology should be developed so technology can be restored in time to meet the needs of the business. Manual workarounds should be part of the IT plan so business can continue while computer systems are being restored. Businesses use information technology to quickly and effectively process information. Employees use electronic mail and Voice Over Internet Protocol (VOIP) telephone systems to communicate. Electronic data interchange (EDI) is used to transmit data including orders and payments from one company to another. Servers process information and store large amounts of data. Desktop computers, laptops and wireless devices are used by employees to create, process, manage and communicate information. What do you when your information technology stops working?? When an emergency occurs or there is a disruption to the business, organized teams will respond in accordance with established plans. Public emergency services may be called to assist. Contractors may be engaged and other resources may be needed. Inquiries from the news media, the community, employees and their families and local officials may overwhelm telephone lines. How should a business manage all of these activities and resources? Businesses should have an incident management system (IMS). An IMS is “the combination of facilities, equipment, personnel, procedures and communications operating within a common organizational structure, designed to aid in the management of resources during incidents”. If there is a fire in the building would employees know what to do? Are they familiar with the system that would alert them to evacuate, shelter or lockdown? Do they know who is in charge during an emergency? Do they know who is authorized to speak with the news media? Are employees familiar with their responsibilities for building and information security? Can they carry out their assigned responsibilities during an emergency or business disruption? Training is essential to ensure that everyone knows what to do when there is an emergency, or disruption of business operations. Everyone needs training to become familiar with protective actions for life safety (e.g., evacuation, shelter, shelter-in-place and lockdown). Review protective actions for life safety and conduct evacuation drills (“fire drills”) as required by local regulations. Sheltering and lockdown drills should also be conducted. Employees should receive training to become familiar with safety, building security, information security and other loss prevention programs. Members of emergency response, business continuity and crisis communications teams should be trained so they are familiar with their role and responsibilities as defined within the plans. Team leaders should receive a higher level of training, including incident command system training, so they can lead their teams. Review applicable regulations to determine training requirements. Records documenting the scope of training, participants, instructor and duration should be maintained. If emergency response team members administer first aid, CPR or use AEDs, they should receive training to obtain and maintain those certifications. If employees use portable fire extinguishers, fire hoses or other firefighting equipment, they should be trained in accordance with the applicable OSHA regulation. If employees respond to hazardous materials spills, they also require training. Disaster Planning coupled with a pre-loss inspection of your buildings and inventorying your property that is covered under your policy, is a critical and important function which may facilitate a quicker and equitable settlement of your claim as a result of a catastrophic event. PublicAdjusters.Com © PublicAdjusters.com All rights reserved. 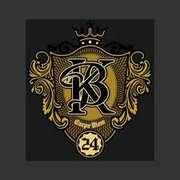 Kenneth Browne is licensed and bonded in the states of Florida, Louisiana & Texas. We are headquartered in Palm Beach County. Kenneth Browne at PublicAdjusters.Com can handle both commercial and residential property insurance damage claims with a very strong emphasis on Business Interruption Claims for apartment complexes, business & industrial claims, hotels, resorts, hospitals, college and university disaster claims. This advertisement is made under the public adjuster licensure of Kenneth Browne, Florida License Number: A033018. Copyright 2017. PublicAdjusters.com. All Rights Reserved. Call 24/7 - if after hours, Saturdays, Sundays and federal holidays please leave a message. A claim representative, who is on call, will contact you within a very short period of time of your call.